RSVP: Email RSVP required to Christopher Stringer at cstringe@uci.edu by Monday, September 30. Directions and parking information are available. Abstract: Complex design problems require more knowledge than any one single person can possess, and the knowledge relevant to a problem is often distributed and controversial. Rather than being a limiting factor, the symmetry of ignorance (or asymmetry of knowledge) can provide the foundation for social creativity. Bringing different points of view together and trying to create a shared understanding among all stakeholders can lead to new insights, new ideas, and new artifacts. Social creativity can be supported by new media that allow owners of problems to contribute to framing and solving these problems. These new media need to be designed from a meta-design perspective by creating environments in which stakeholders can act as designers and be more than consumers. Fischer, G., E. Arias, H. Eden, A. Gorman, and E. Scharff (2001): "Transcending the Individual Human Mind-- Creating Shared Understanding through Collaborative Design" ACM Transaction on Computer-Human Interaction (TOCHI) Vol. 7, No. 1, March 2000, pp. 84-113. 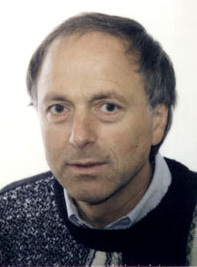 About the Speaker: Gerhard Fischer is a professor of Computer Science, a fellow of the Institute of Cognitive Science, and the director of the Center for LifeLong Learning & Design (L3D) at the University of Colorado at Boulder. Current research interests include new media supporting lifelong learning, human-human and human-computer collaboration, (software) design, domain-oriented design environments and universal design (assistive technologies).